Enabled roles are crucial in today’s market to be best prepared to deliver the highest value to our mutual customers; enriching customer relationships and providing thought leadership to become your customers trusted advisor as well as ensuring they maximise their return on investment. The Syncsort University is your direct link to comprehensive training and certification programs that develop your capabilities - the very same training we provide to our own sales organisation. Additionally, when you learn more, you earn more. That’s why it’s important to ensure enablement is a key element of your participation in the Syncsort Partner Program. You will find Level 100 Sales Play content below to help you position your value proposition and identify opportunities to best serve your customers. Content will continue to be added so visit frequently to access what you need to continue to grow your business. 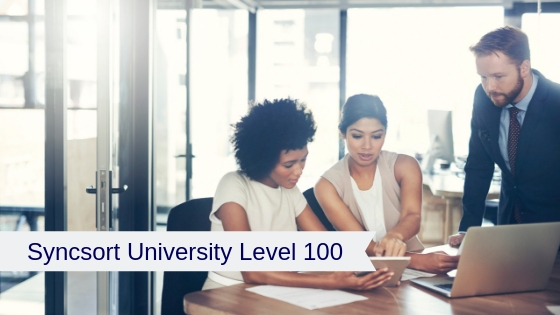 Once you have completed Level 100 below, click here to access Level 200 & 300 courses (may require additional login).